The week before Death Valley Training camp was a good one, but a tough one, with 4 days of long runs planned at 35k, 60k, 40k and 30k. The weather turned quite humid this week, which led to some hydration issues. I fell short of the 60k goal on Saturday by about 5k, but hit both Friday’s and Sunday’s goals. I’m looking forward to spending 5 days in Death Valley next week with Chris Roman and Cheryl Zwarkowski and others that will be there getting in some “on-course” training. 4:57 AM – 10.30 miles in 1:28:51 (8:37 pace). Speed work day of 4 x 2k with 1k recovery in between, followed by 5k at an easy pace. 5:18 AM – 6.20 miles in 59:08 (9:32 pace). 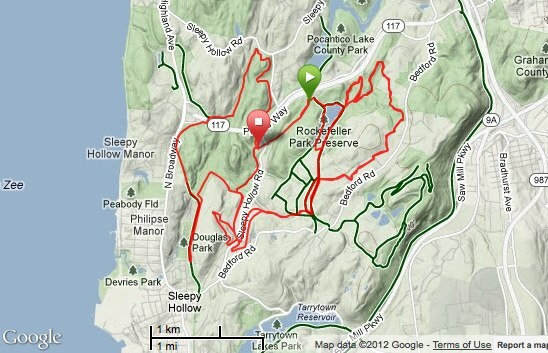 7:24 AM – 21.70 miles in 3:35:58 (9:57 pace) at Rockefeller State Park. Today was super humid and more water was in order. Thankfully, Emmy joined for the last 10 miles to keep things moving. This was the first day of 4 consecutive days of long runs of 35k, 60k, 40k and 30k, and It will be interesting to see how the 60k shakes out tomorrow. 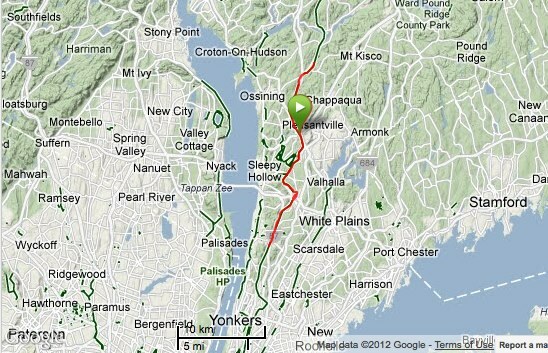 5:33 AM – 34.00 miles in 5:56:49 (10:29 pace) on the North/South County Trailway. The temperature got up to around 88 degrees, and the humidity was just as bad as yesterday’s long run. After a good 12+ miles at 9:30 pace, things got a bit slower as our water supply was depleted. Luckily, Wayne had some $$$ and we were able to re-fill but not until almost 26 miles in. Still, a good, long run.